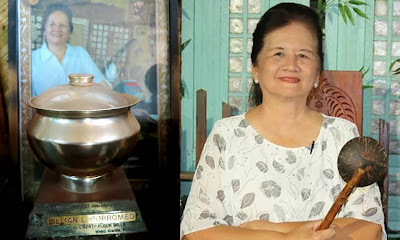 If you have been eating your way around the Philippines, you know where to go for authentic heirloom and traditionally land-marked dishes - Pampanga. It has been a beacon to the culinary landscape which brought foodies to the central plains and making it as the top stop-over for gastronomic delights when journeying the rest of Luzon. 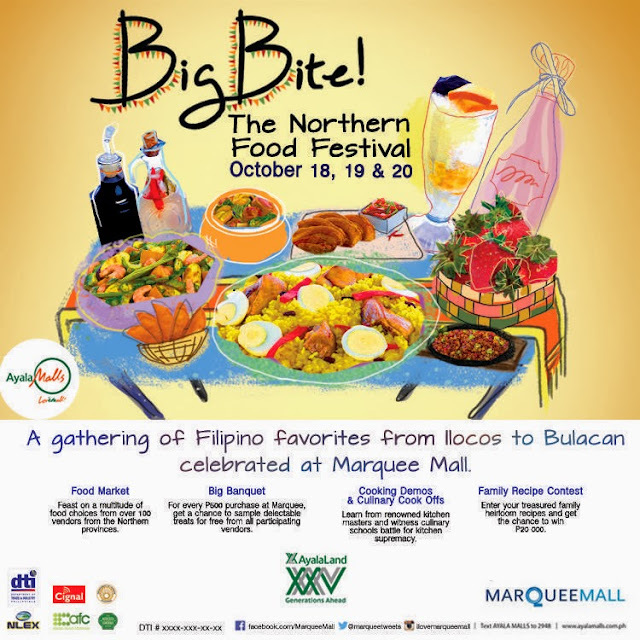 Here is a wonderful news to all you foodies out there wishing to have a food trip up North. 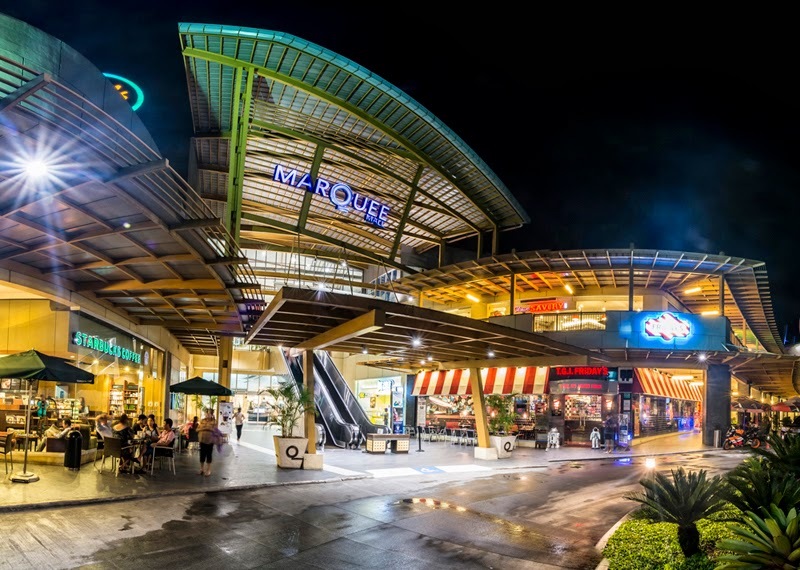 Pampanga will again be the new food tourism venue as MarQuee Mall, Ayala Mall’s first dining, shopping and entertainment destination north of Manila presents “Big Bite! The Northern Food Festival” at the MarQuee Park, Angeles City, Pampanga from October 18 to 20, 2013. Dubbed as Big Bite!, a colossal food market, will feature everything from cooked Filipino favorites to famous native delicacies and baked goodies, fresh fruits, vegetables and more. The food festival showcases over 100 food stalls featuring the best food products from across the provinces of Pampanga, Bulacan, Ilocos, Baguio, Tarlac, Nueva Ecija, Zambales, Bataan, Pangasinan, Cagayan and La Union. 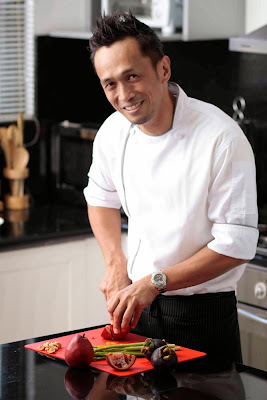 Not only that, the three-day event will also stage a culinary showdown of the most mouth-watering heritage cuisines from Northern Luzon and a lot more activities in stored for food mongers like me! Fan of Asian Food Channel shows? Well, you are in for a treat! Dazzling the event with their culinary skills renowned chefs from the Asian Food Channel will be at Big Bite! to do live cooking demos. Festival goers will get to see their favorite TV chefs cook up a storm onstage. So come and have a BIG BITE! with us!